iOS 10 arrives. Eager Apple users rush to update to iOS 10 since the new system pairs salient features like hiding Siri, funny iMessages, advanced Apple Music, redesigned Maps, Photos, other apps and so on. But there's also risk of problems. It doesn't run on all hardware and on some of the supported devices the feature set will be limited. So you'd better know how to downgrade iOS 10 to iOS 9 before upgrading. Thus even if you regret your decision, you can still restore iPhone iPad. iPhone iPad users who installing iOS 10 over the air report a major iOS 10 update problem and have their iDevices bricked by the update with an error message noting the iDevice are put into recovery mode. So be sure to backup iPhone or iPad before updating. Every new system update could brings us much convenience like blazing fast running speed etc., (updating to iOS 11 no exception) but at the same time, upgrading to iOS 10 may also get into trouble. While you may enjoy some iOS 10 advantages over iOS 9, here are also probably problems. This doesn't mean you will encounter all kinds of iOS 10 problems, but I hope if any one in the list happens on your iPhone iPad iPod, you are not too helpless to settle the matter. As with any update, you should be careful to back up all your data and settings before installing the new software. But Apple advises still more caution than this at least for those installing the beta, warning that you should back up data to iTunes /iCloud and then archive the backup. If you want to save yourself some troubles like what in iOS 8 to iOS 9 upgrading, you cannot be too careful in upgrading to iOS 10. So first, check how to backup iPhone 6/6S/7. Then follow the steps to backup your iPhone iPad data through iTunes or iCloud. BTW, when you plan to downgrade iOS 11 to iOS 10 on your iPhone XS/XR/X/8/7/SE, this part is also helpful. 1. Plug in your iPad or iPhone and start up iTunes on your Mac. 2. Click Summary, then Back Up Now. And wait for the backup to finish. 3. Now select iTunes > Preferences > Devices and look for your device's backup. 4. Hold the Ctrl key and click on the backup. Finally, select the option Archive. Note: If you back up to iCloud or if you don't archive your backup, you won't be able to restore from it if you go back to current version of iOS. You are advised to run the latest version of iTunes. Also see how to backup iPhone without iTunes. It's common to backup iPhone or iPad Pro with iTunes or iCloud. But it's problematic during the process. 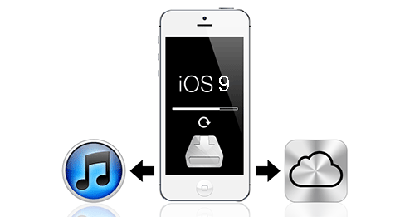 Typical cases involve in the backup procedure are backup cannot be saved on computer, the iOS 10 content you backup cannot selected optimally, or you may encounter the full out-of-storage problem for iCloud backups. But you can solve the errors once and for all with MacX MediaTrans. It is so far the fastest and easiest iPhone data backup software that can make a copy of any iPhone iPad media files by simply transferring photos, videos and music from iPhone XS/XR/X/8/7/6S/6/SE/5, iPad Pro/Air 2/Mini 4, iPod Touch 5/6 to Mac/PC. It is superior to iTunes and iCloud as it supports two-way sync without worry about storage woes. 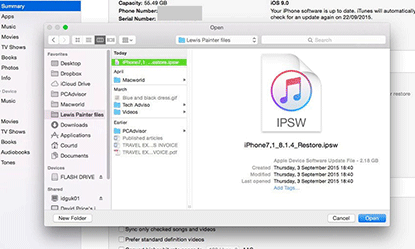 To reinstall iOS 9 you need the relevant .ipsw file for your model of iPhone or iPad. Older versions won't work as they're not being 'signed' - or approved. So if you regret your decision of upgrading, you'd better uninstall iOS 10 and go back to iOS 9 ASAP. Or else you would not find the relevant iOS 9 .ipsw file and ditch iOS 10 downgrade back to iOS 9 will become impossible without a jailbroken phone. Step 1:　First you'll need to disable the Find My iPhone/iPad feature on the device if you've enabled it. You'll find it in Settings > iCloud. Step 2:　Plug in to your PC or Mac your iPhone or iPad. Launch iTunes. Click on your device in the iTunes interface and select Summary. Now hold down the Alt/Option key (Shift on a PC), and click the Restore button. Step 3:　Now download the iOS 9.3.2/3/4/5 IPSW file on your iOS device. Step 4: Go to the Summary page. Option+lick the "Restore iPhone" for Mac users or Shift+Click "Restore" button for Windows users. Step 5: Navigate to the file on your desktop and click Open. Then you are able to downgrade iOS 10 to iOS 9 on your iPad or iPhone. 1. The model must match with the IPSW for the downgrade iOS 10 to avoid iTunes error. 2. You can only downgrade iOS 10 to iOS 9.3.2 or later. For the elder versions, iOS 10 downgrade may fail as Apple is now signing iOS 9.3.2. 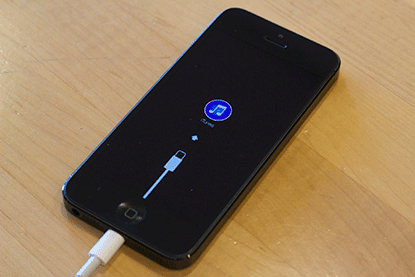 If iTunes says you're already running the latest version of iOS on your device, you may need to use Recovery mode. Step 1: Turn off the device, plug one end of the syncing cable into your computer and hold down the Home button on the iPhone/iPad while you connect the cable to it. When the Connect to iTunes screen appears, release the Home button. Step 2: Choose "Update and Restore" from the Revoery Mode screen. iTunes will say that your device is now in Recovery mode. Hold down the Option key (Alt), click Restore, navigate to the iOS 9 .ipsw file, and install it on your device. Download the iOS 10 > Download the latest version of iTunes. > Register your devices UDID. > Back up your device. . Restore your device to iOS 9 . Install iOS 10 beta. >Wait. > Slide to upgrade.